The Beach Shack Café is a cool book for 8-12-year-old girls. It has a really fresh, modern feeling and is a delight to read. 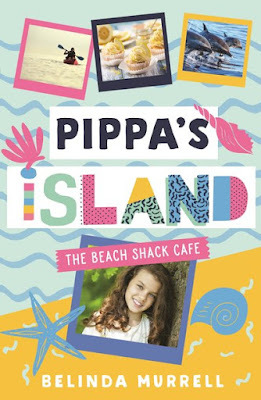 The main character Pippa has just moved to the secluded Kira Island, and started at a new school. Pippa is feeling left out and missing her old home and she is also worried that her Mum’s plan to open a bookshop café isn’t going to work out. That’s when Pippa’s new friends Meg, Charlie and Cici come to her aide. My favourite part about this story was the way it was presented. Everything about this book felt summery and light. The plot was fairly predictable, but Belinda Murrell still made the story feel completely new. The end was extremely satisfying as well. The personality of each character is portrayed really well too, which pulled me deeper into the story as the book continued. Overall, I loved reading The Beach Shack Café and would recommend it to any girls in search of a great, tropical read.